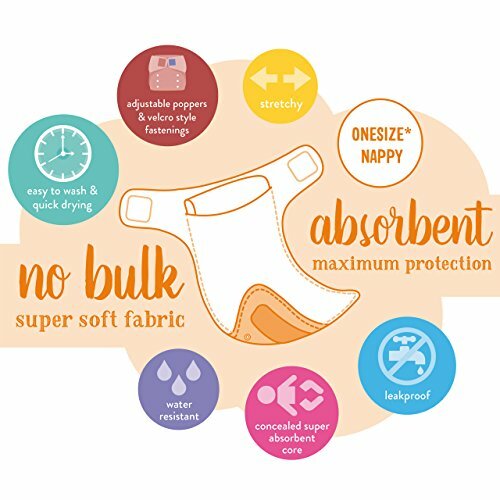 The award-winning miosolo is a simple, stylish and super soft all-in-one reusable nappy which is as easy to use as a disposable! 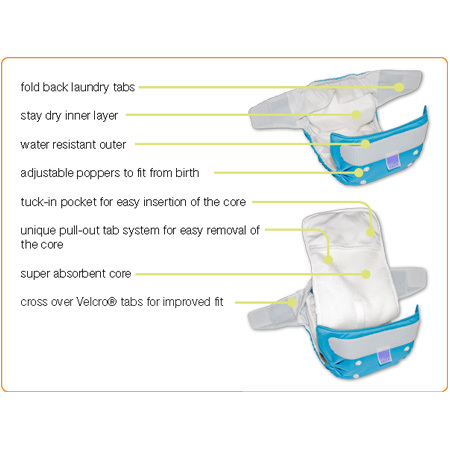 The nappy is one-size* meaning it will grow with your baby from birth to potty training. 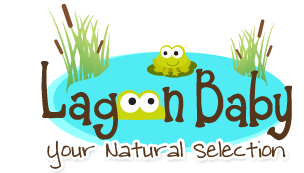 These diapers wash up really well, they always come out sparkling and my husband loves the velcro or loop and hook closure. 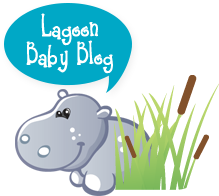 They loose two points because they are too wide between the legs of our 3 month old (11.5 pounds) and we get blow-outs but are hopeful he will grow into them. 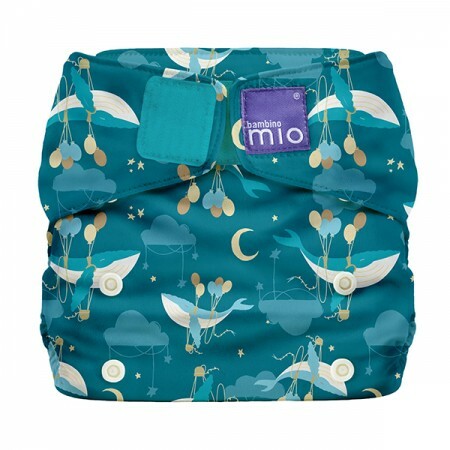 We love our Mio diapers. 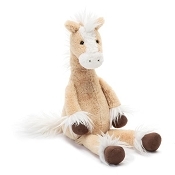 They were easy to use, nice and soft, cute patterns and well put together. No complaints. We received this diaper at our baby shower and the print and the diaper itself is very adorable. This diaper is nice and trim and seems like it will absorb well. A: The absorbent layers are microfiber.